While that statement may provoke serious contemplation, it also serves to underscore the need to live each day full-out and goal-oriented. 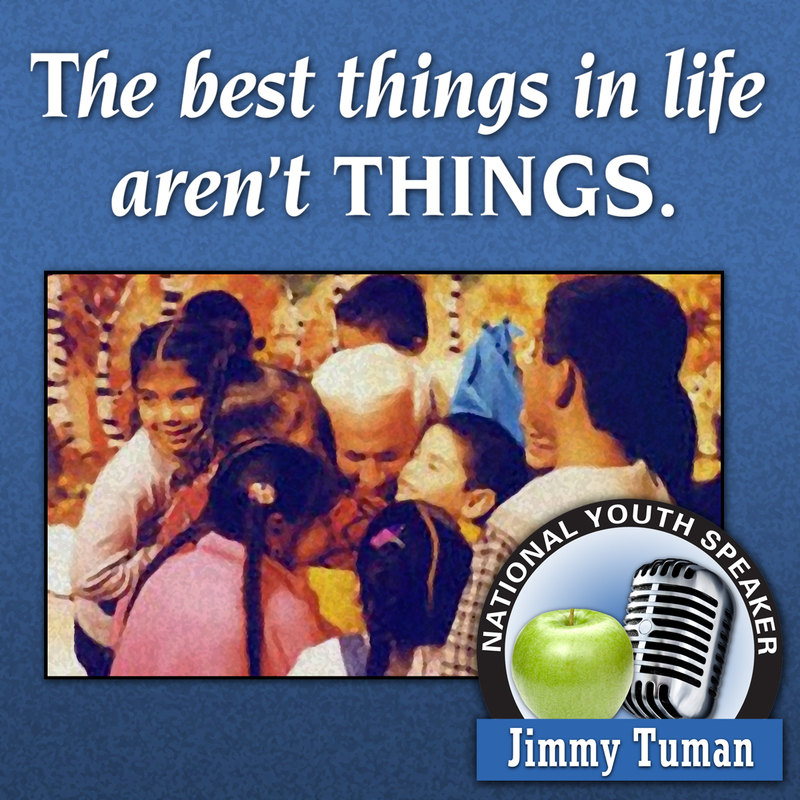 That is just one of the inspirational messages from Internationally-acclaimed speaker Jim Tuman. Tuman’s message has resonated with over 2 million people of all ages, world-wide, for the last 40 years. “How do you want the people in your life to remember you?” – putting a spotlight on the superficiality of a materialistic-driven society – is another. There is good news for this mother, and those that have experienced the effect of Mr. Tuman’s presentation: that cassette is now available on CD and digital download. CD Baby, the world’s largest distributor of independent music, now carries the CD. Digital distribution partners include: CD Baby, iTunes, Amazon, Rhapsody and many more. The Apple Music Store will also carry the work for download. This recording is based on concepts that will affect every person at some time in their lives. It is intended to inspire and motivate people to complete unfinished business and pursue their dreams, goals and wishes before one’s time is up. Jim Tuman has appeared on broadcast TV, including: ABC, NBC, CBS National News, the Today Show and the Oprah Winfrey Show. He has also been featured in leading publications, including: Newsweek, USA Today, Business Week, Chicago Sun Times, Washington Post, Los Angeles Times, Newsday, Detroit Free Press, Detroit News, and the New York Times. He founded the Jimmy’s Kids charity, a Christmas (and now year-round) Program serving over 30,000 children who would not otherwise have a holiday. A portion of the proceeds from the sales of CD’s and digital downloads will benefit this non-profit organization. Visit http://www.jimmyskids.com for more info. PLEASE NOTE: For the maximum experience, we recommend listening to this program, in it’s entirety, from start to finish. Track separations have been assigned for your convenience- to pick up the program where you may have left off- and by no means are designed to separate the presentation.